Yesterday evening in the usual hour of vigil, a curious thing happened to me: scarcely had I begun to make it [the holy hour] than I suddenly seemed to fall asleep. I seemed to have in my arms a beautiful child of three; He kissed me and caressed me and asked me whether I knew Him and whether I loved Him. I embraced Him ardently and told Him that I loved Him very much. He told me that if I wished to be all His that He would espouse me. I was very happy. I did not know what to say, I pressed Him close and said to Him: "If you are Jesus, I will do all; if not, go away." He replied that He was Jesus. He was indeed the little Jesus. I told Him that I wished to go into the convent; He replied to me: "When you are in the convent, then we shall espouse each other; you must tell your confessor to hasten the moment of our nuptials. "Tell him that it is not impossible to do that as he knows, rather it is very easy; if he wishes, he can do it in a moment. Assure him that as soon as he has done as I wish whatever he asks of me I will give him; if not I will act Myself." The holy hour was then finished and Jesus embraced me ardently; He did not wish to go away, but I left him because somebody in the house was calling me. He made me promise that I would tell you everything at once; but scarcely had he gone away when I made up my mind not to tell you these things. Then Jesus returned and said to me: "Go tell all to your confessor; tell him to concern himself about you and not to neglect you. And, to give him sure proof and also to punish you for your intended disobedience, I will leave you to yourself, and I will not let you see Me or feel My presence until your confessor tells you that I may return." Since yesterday I have been so alone, but now I have told you everything, I have nothing more to tell you; may Jesus return? Bless me and send Jesus back to me; without Him I am afraid. Again and again the reader will hear her begging her Confessor to send her to the convent, away from the eyes of men, to work out God's will in the secret of the cloister. Again and again she will also plead with Jesus either to take from her these outward manifestations of her betrothal, or to remove her from a world that judged her as a visionary or a victim of hysteria. 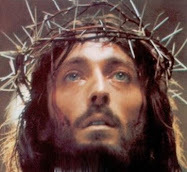 In order to obey Father Gaetano, I must tell you something which happened to me a few days ago. One evening while I was writing, I heard my name called. I turned and saw a Lady with a Child in her arms. She held the Baby out to me and I took Him. Then the Lady said to me, "You, daughter, have received your health back, and therefore, I wish that you serve my Son in the Passionist Order." Having said these words, She took the Child, blessed me, looked at me, and then when She had taken some steps, turned to me again and said: "You must tell your Confessor that what he has refused to you, he must not refuse to Me, because I am the Queen of Heaven. I have asked you to join the Company of Passionists, and you should do what I have asked of you." After She had said these words the Lady went away. And to her spiritual director [Father Germanus] she said: "I implore of you in the name of Jesus, come and shut me in; the world is not for me." These expressions of her anguish frequently recurred in her letters. God Himself, in order no doubt to try His servant, let her understand that such a step would gratify Him, and spoke to her heart in the sense that she would certainly be a religious, if the persons on whom the execution of His desire depended would carry out what He had disposed. And as this child of Heaven saw that it was not being done, she toiled for years to bring it about; toward the end of her life she suffered a veritable agony until Our Lord told her to put aside all disquietude and every thought of the matter. "Yes, if the Madonna will help me, but I am so poor and sick." And the Lady then rejoined: "If you do not find the means to enter a convent, persons will be given who will help thee and enable thee to live." And then Gemma said: "Yes, yes, and then the Will of God be done." When the vision was over I went in, and Gemma said that the Madonna had been to visit her, and she forbade me to say anything during her life of what I had seen. Two days later she recovered." 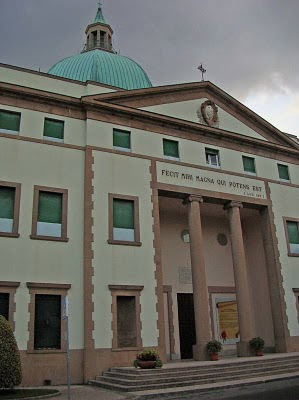 At that time there existed then only one monastery of Passionist Nuns in Italy-at Cometo, a hundred kilometers from Rome and two hundred and seventy from Lucca. What was to be done? She thought and thought, asked advice, and resolved to go there for a course of spiritual exercises. She made the request along with three of the Giannini family. The Mother superior, a kind woman of very large mind and heart, answered, God so permitting it, in these resolute words: "Let the three come, but not Gemma; and mind, if they bring her with them, we shall not allow her to enter." That good Mother, who had heard much of Gemma in wrong sense, had probably thought she was one of those hysterical and deluded girls who do not do well in religious communities. The unexpected refusal was made known to Gemma, who felt it intensely but was not irritated by it. On hearing some of the Giannini family grumbling about it, she said: "Oh, why should we speak like this? Don't blame the Mother Superior. I instead wish her so well that when I go to Paradise, she shall be the first I will go to meet and to greet." And speaking to a friend of a dream she had, she said: "I recognized the Mother Superior in my dream. She looked at me so severely! I feel so well disposed toward her, but she does not want me." Meanwhile people began to discuss the foundation of a convent of Passionist Nuns in the city of Lucca itself. Gemma was filled with joy at this, and felt almost sure that she was about to realize the object she so long desired. What did she not do to stimulate all who were interested in this holy undertaking to confide in Our Lord and not allow themselves to be deterred by difficulties---in fact, to draw fresh impulse from the difficulties themselves! "Jesus wishes it," she used to say, "and what Jesus wills must succeed. Make haste, set the work in hand." Those, however, who judged the matter with perhaps too much human prudence, were not satisfied with such arguments, and procrastinated. "How is it possible," they said, "to found a convent of Papal enclosure without money? The house must be purchased, adapted and furnished. And where is the funds for the support of the religious to be found?" After two years of assiduous efforts to find what was necessary, only about two thousand francs were collected, and the diocesan rules required a deposit of ten thousand francs for each Sister. At Corneto, it was also determined that none of the Sisters should leave that convent for another foundation unless their maintenance was provided for. Gemma, for all that, insisted: "Be careful, Father, how you act. Jesus is dissatisfied with your want of confidence, as if He could not provide all in an instant. 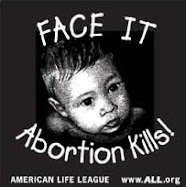 Begin, and you will see that Jesus knows how to act." In the meantime, accompanied by Cecilia Giannini, her inseparable benefactress, she went through all the streets of Lucca 'seeking and inquiring to try and find a suitable house for the object in view, or at least a piece of ground on which a convent might be built. In March, 1901, as if she had already done and provided everything, she wrote to the Passionist Religious of Corneto as follows: "It gave me such consolation to hear how you also say that Jesus wills the new convent! That is true, Jesus wills it, and will soon give you this consolation...."
And again: "...Monsignor has said that someone must come and speak to the Archbishop, so as to arrive at a settlement. Here we have eight thousand francs, and there are several buildings that will soon be sold, or let as Superiors think best. But if they go to sleep!..." Thus Gemma had not the least doubt of the work succeeding. Jesus, the Heavenly Mother and Blessed Gabriel had spoken to her so clearly on this matter that she felt certain of it. They had even explained to her in detail the ways and means by which it was to be accomplished. And now, after her death, all has been verified exactly as she foretold. The foundation, she said, would be completed shortly after the Beatification of Venerable Gabriel Possenti [now a Saint], and this is precisely what happened. She was told that the devil would use violent and persistent efforts to hinder the holy work, by raising such difficulties as to make its success seem impossible; but finally, the work being started, the very persons who previously opposed it would declare in its favor, and all would be glad to see it established. She also made a last prophecy, already referred to, that had to wound her own heart. "Decide at once," she said, "for very soon it will be too late. Jesus will not wait any longer, and He has said that He will take me to Himself, if within six months the work is not begun. My Heavenly Mother cured me of that dangerous illness, but on condition that the convent be built. If it is not started without delay, She will soon cause me to fall sick and will take me with Her." Finally God made known to her that the prerequisite conditions would not be fulfilled, and she had to be resigned-- "What I have gone through this morning," these are her words, "I cannot explain. I shall only say that I felt a great impulse to cry. I ran away to my room to be more free there, and alone, and I cried a great deal. At last I exclaimed: Fiat voluntas tua! ["Thy will be done!"]. But then those tears were not of grief, they were of perfect resignation." The fiat was spoken. Gemma thought no more of formally being a Passionist nun. She ceased to speak of it and occupied herself solely in preparing for death, which came, as she had foretold, in six months. God was satisfied with His faithful servant's desire and with the merit of the sacrifice she had so generously made. She had already, as an act of private devotion, made the vows of religious profession. She was a religious and Passionist in mind and in spirit, and bore the stigmata of His Passion on her body. She was then fit to leave this world, well satisfied and full of joy at having perfectly attained the end for which God placed her in it. No sooner had the seraphic child breathed her last than remorse set in on all sides, and good reason there was for it. Remorse was followed by an awakening, and without further delay the work of building the Passionist Monestary in Lucca was begun. Her spiritual director Father Germanus wrote: "I remembered the intimation Gemma had given me a year before: "Go to Rome and speak to the Pope," and I now went and spoke directly to His Holiness Pius X, recently raised to the Pontificate. He listened to me most cordially and was pleased with the project of the work, and taking up his pen, he wrote his full approval." The means God used in part for Gemma’s sanctification were the same that He employs for all of us. Strippings, frustrations, sufferings and humiliations; He administered them to Gemma unsparingly, to strengthen her virtue, and to draw her ever closer to Himself. And she gave consent to the deprivation of all things--money, family, health, creature comforts....And thus possessing her heart, He sought to purify it completely of all self-love. Every desire that impeded His love had to go. In this He seemed relentless. And a most striking instance comes to the notice of the reader of her letters in the frustration this desire that dominated her life for a period-that of devoting herself to Him as a nun in the cloister. Gemma complained to Jesus saying, "You have put this desire in my heart. You have told me it is your wish. Are you going to do nothing about it?" And Jesus replied, "If others will not attend to this wish of yours, hide it in My heart and I shall attend to it Myself." And He did so, but in His way, not hers. He promised her, moreover, that she would be a Passionist, and He kept His word. In the family home of the Giannini's He cloistered her more securely than in any convent, and after her holy death she has rightly been numbered among the Passionist Saints. 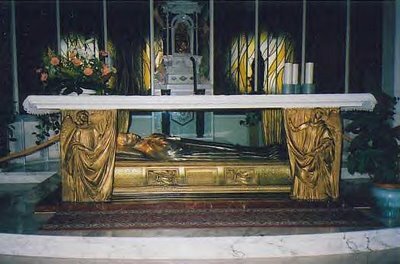 Her holy remains now lie beneath the main altar of the Passionist Monastery-Sanctuary of St Gemma in Lucca--the very Monastery of Passionist Nuns that she so longed for to be built during her life. 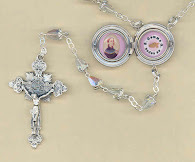 There in the Giannini home He fashioned her into a Passionist so perfectly that she became a living image of Himself. The frustration after all was only but an apparent one, as are many of God's plans. It served His purpose, however. Gemma's constant and reiterated surrender gave more glory to God than the consecration of herself as a nun in any monastery. 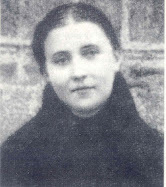 Sources: "Portrait of Saint Gemma -A Stigmatic" by Sister Saint Michael and also "The Life of St Gemma Galgani" by Venerable Father Germanus C.P.